Slippery wooden ramps? A great anti-slip idea for improving wheelbarrow ramps! Gardening and mucking out horses may have just got a little easier, thanks to this great idea using Decking Strips. 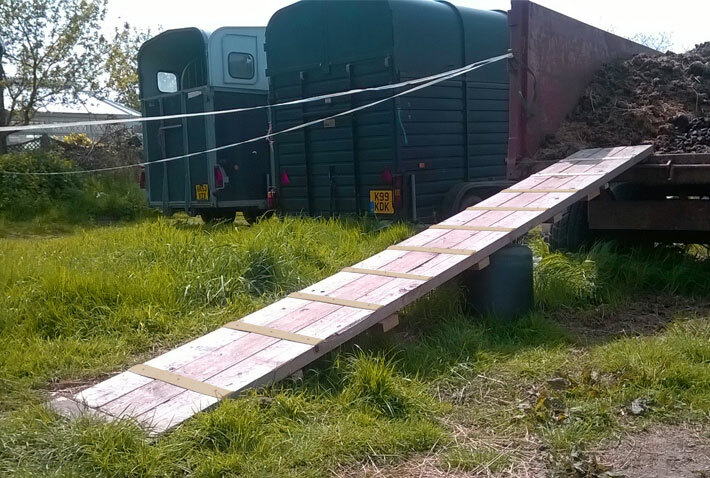 Lilli used our anti-slip GRP strips to improve a wheelbarrow ramp. 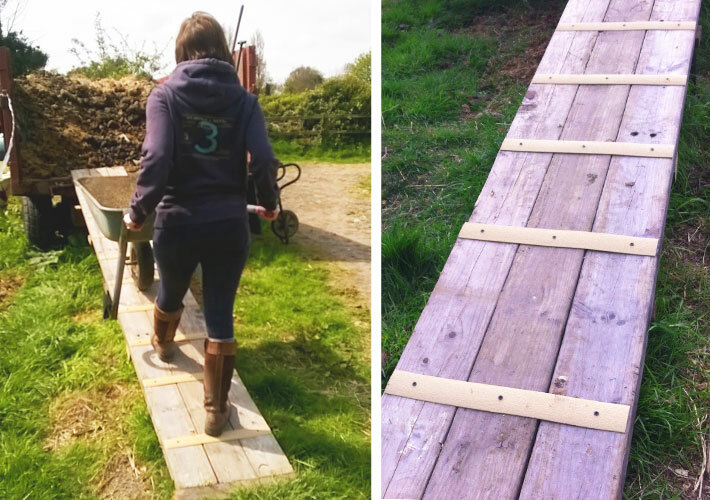 She fixed 50mm Decking Strips across the ramp at intervals to create a grip sections, making it a lot easier to push their wheelbarrow up to the muck heap. Safe Tread decking strips have a slightly convex shape, the curved top making it easier to get a grip on access ramps and sloping surfaces. The anti-slip gritted surface also helps traction on the slippery wooden plank. Adding the grip strips makes it easier to stop at the top of the ramp, where the wheelbarrow can then be tilted forward and the contents dumped into a dumpster, lorry or garden waste area. 50mm Decking Strips fixed to a wheelbarrow ramp at intervals to create grippy sections. The anti-slip gritted surface helps to get a grip on the slippery wooden plank.